Read-out Instrumentation Signpost: AOI system. 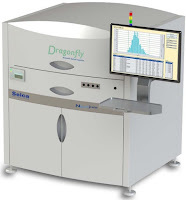 A new video is online launched by Seica, showcasing the new DRAGONFLY next > series, an AOI system providing optical inspection capabilities for through-hole technology (THT) components of electronic boards, as well conformal coating (CC), increasingly used today to protect the products after manufacturing. Both the THT and CC versions of the DRAGONFLY feature the opportunity to inspect one or both sides of the board, which is conveyed on a standard SMEMA compliant rail conveyor, driven by an intuitive and streamlined management software which will allow commissioning and application program development in a few hours. 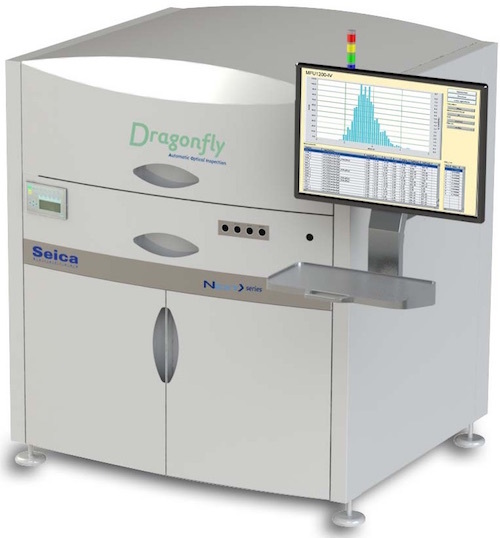 The DRAGONFLY technology will be made available to Seica customers also with possible customized solutions, to promote the best integration in the existing automated production lines. Additional conveyors, buffers, loaders/unloaders dedicated to boards for repair, in-line or stand-alone repair stations, are also available allowing for a complete customization of your SMT, and repair lines. The Drafonfly CC Next Series line has all of the capabilities needed for an implementation in any factory 4.0 Scenario, providing the possibility to plug in any proprietary or third party information systems to achive the desired goals.